Certainly if you have been involved with hydroponics for a while or even if you have just started to research this awesome field you might already know that science has only discovered a handful of elements to be necessary for plant growth. From the first 92 elements of the periodic table, plants have only been proved to require C, H, O, N, K, P, S, Mg, Ca, Fe, B, Cu, Mo, Zn and Mn for their adequate growth. However it is certainly true that some other elements have proved to be beneficial - in certain quantities - for the development of several different crops. Such elements include Co, Si and Na. On today's article I am going to introduce you to Si, the way in which plants absorb it, how it should be administrated and the positive effects it is bound to have on your hydroponics plants. Silicon is definitely one of the most abundant elements on the Earth's crust, forming - with aluminium - a very large portion of the earth's heavier elements. Silicon is mainly present in nature as the silicate ion (SiO3(2-)) forming solids with different degrees of polymerization known in the geological world as silicates. From these silicates we have a very large variety of minerals, from the aluminosilicates formed with aluminium to the very fine quartz particles (white sand) making up some of the most beautiful beaches throughout the world. However when thinking about silicon and our plants we need to think about the way in which plants would be able to absorb this element. The minerals in which silicon is found are quite insoluble at room temperature and for this reason they cannot be absorbed efficiently by plants. If we want our plants to get some silicon we need to provide it in a form which is soluble and readily available for absorption. Such a form is sodium silicate (Na2SiO3) usually available as a pure solid or a solution in water called "liquid glass". Studies in the field of hydroponics have shown that different types of cultivars such as wheat, tomatoes and cucumbers react positively to a moderate addition of silicate ions. When water glass is applied at a concentration of around 100pm (measured as SiO2), positive effects are found including increased weights of fruits, increased nutritional composition and - most importantly - a very important increase in the resistance to bacterial and fungal diseases. It seems to be that plants use the silicate ions to "line-up" their cell-walls offering a strong additional mineral resistance to any incoming pathogens that would want to get into their cells. Since plants lack and active immunological system, passive measurements like this which increase cell-wall strength are likely to be key to increase disease resistance for many crops. However most people are quite careless about the way in which they apply this "liquid glass" since they are mostly unaware of the very sensitive equilibrium that takes place to maintain silicate ions in solution. Silicates are by definition very insoluble and the acidic pH in hydroponics is bound to cause some precipitation of different reaction products of this ion with other ionic species present within the hydroponics solution. The silicate ions can also form silicic acid and start to polymerize into complex macromolecular constructs. As a matter of fact, several studies do include information about the problems with drip systems, sprinklers, nozzles, etc, when using silicate ions since they tend to precipitate easily outside the hydroponic solution. I would suggest - and so I have done with my own systems - that it is better to apply small quantities of silicate ions every 2-3 days, instead of applying a large amount during the beginning process. Applying a large amount of "liquid glass" (the 100ppm for example) would most likely end in most silicate falling out of solution and only a small part becoming available for plant absorption. I believe that the best thing to do is apply about 5ppm (measured as SiO2) every 2-3 days until the solution needs to be changed. This provides both higher stability and a better control over the solubility of this tricky ion within the hydroponic solution. Of course this is purely anecdotal evidence and no controlled study has yet shown this to be better. If you want to obtain results as those of the scientific literature available then applying the 100ppm on every reservoir change might be the wisest thing to do. Excuse me posting twice in succession - I didn't see an edit button for my previous post. I found "Liquid Glass" at the auto store. But the apparent ingredients don't look like something I would want in my plants. Also, the addition of extra sodium doesn't appeal to me. Do you know of a source for potassium silicate? "Aliphatic Hydrocarbons Inert Filler (Amorphorus Silica) Aminoalkoxy Dimethyl Polysicoxane Emusifier (Oleic Diethanol Amide) Polydimethyl Siloxane Diol Water"
Thanks Daniel. I think $30 for a gallon of 1% Silicon / Potassium Silicate is ridiculous. It's sand. So I put 1mol SiO2 (diatomaceous earth) and 2 mol KOH in about 2 cups of water, and I'm going to see what happens. (Thanks for the warnings about KOH, I always use gloves, etc.) So far, it doesn't seem to have done anything. Any ideas on temperature/pressure/agitation required? There isn't anything I can find online on how to get 2KOH + SiO2 = K2O3Si. I ask a lot of questions, and if you don't have the time or interest to answer them, that's fine, I won't be offended or anything. Is magnesium silicate feasible for hydroponics? Considering magnesium is a readily used secondary nutrient for many plants, would it have an advantage over Sodium Silicate? Talc (derived from the Persian tālk (تالک ) via Arabic talk (تلك)) is a mineral composed of hydrated magnesium silicate with the chemical formula H2Mg3(SiO3)4 or Mg3Si4O10(OH)2. In loose form, it is the widely-used substance known as talcum powder. It occurs as foliated to fibrous masses, its monoclinic crystals being so rare as to be almost unknown. It has a perfect basal cleavage, and the folia are non-elastic, although slightly flexible. It is the softest known mineral on the Mohs hardness; allowing it to be easily scratched by a fingernail. It is also sectile (can be cut with a knife). 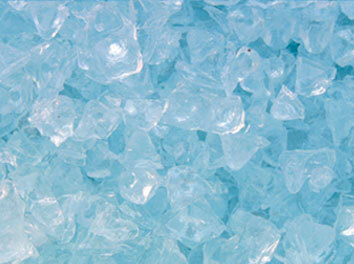 It has a specific gravity of 2.5–2.8, a clear or dusty luster, and is translucent to opaque. Talc is not soluble in water, but it is slightly soluble in dilute mineral acids. Its colour ranges from white to grey or green and it has a distinctly greasy feel. Its streak is white. so i read what you said about how you could buy silica sand and add KOH. and it would dissolve it. and i have three questions first: you mentioned a ten% solution of KOH or Na does that mean 10 grams KOH to 90 grams disstilled water. second: is the resulting compound potassium silicate, sorry im just startin chemistry this fall third: i plan to add silica sand until it stops disolving. and then further dillute the solution so its safe to handle. what should i dillute the KOH+silica sand to? Hi Daniel, Why is sodium silicate preferred over potassium silicate? Is it to do with the increase in Ph? We use Potassium Silcate available as AgSil 16H. It is an agricultural grade product supplied as a very fine powder. It is first mixed with hot water and then added to the reservoir. 27 grams to a 55 gallon reservoir results in 33 ppm Si and 35ppm K. It is caustic and requires pH down adjustment. That was awesome. How do you know the difference in PPM. Ive been wanting try so different NPK ratios but after reading ao much on the way potassium and phosphorus is measured in different countries is a little confusing I did find a you later that was helpful. Just wondering how you are do your measurements?